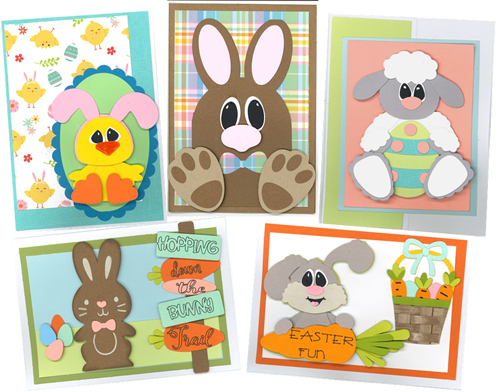 (KITS AVAILABLE - CALL STORE 515-965-1102) Hop on over to create these adorable Easter cards for the littles in your life. They will be so surprised when they receive an Easter Bunny card that you made yourself! Diana has done the work by cutting all the pieces. You get to layer and embellish to finish them just as you like. Instructor Bio: Diana is a seasoned crafter who to make cards for kids and is known for her layered die cut images!